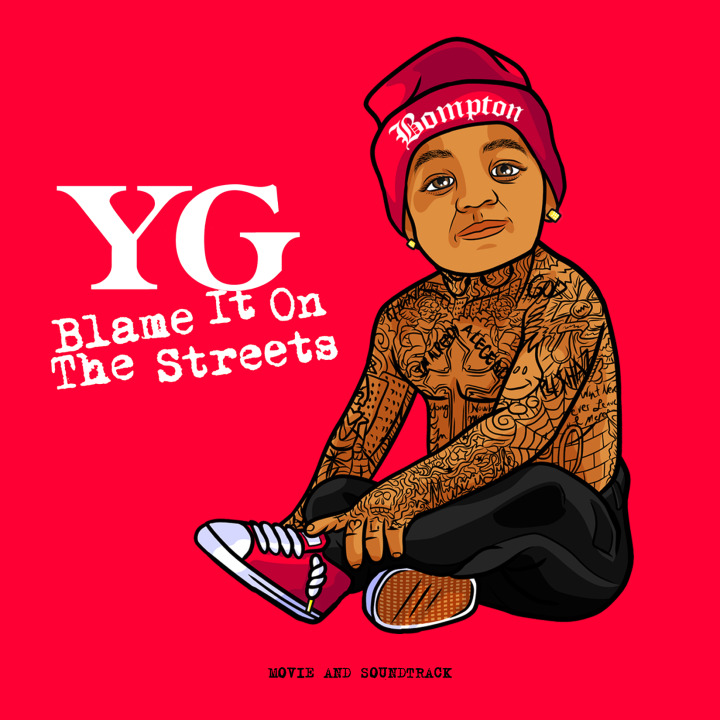 On December 15th, Compton rapper YG will release a short film called "Blame It On The Streets." From the looks of the trailer, which is premiereing exclusively on The FADER, the 30-minute movie is a slick coming-of-age film about crime, music, and loyalty. Over email, YG—who co-wrote and stars in the film—confirms that the story is, at least partially, autobiographical: "The short film is basically the life behind a couple of records off 'My Krazy Life.' When you listen to that album it feels like you are watching a movie, so I wrote this film to give people a chance to see what my 'krazy' life is all about." The film's 9-song soundtrack—featuring collaborations with DJ Mustard, DJ Quik, and more—drops on December 15th, too; that's the album art below.